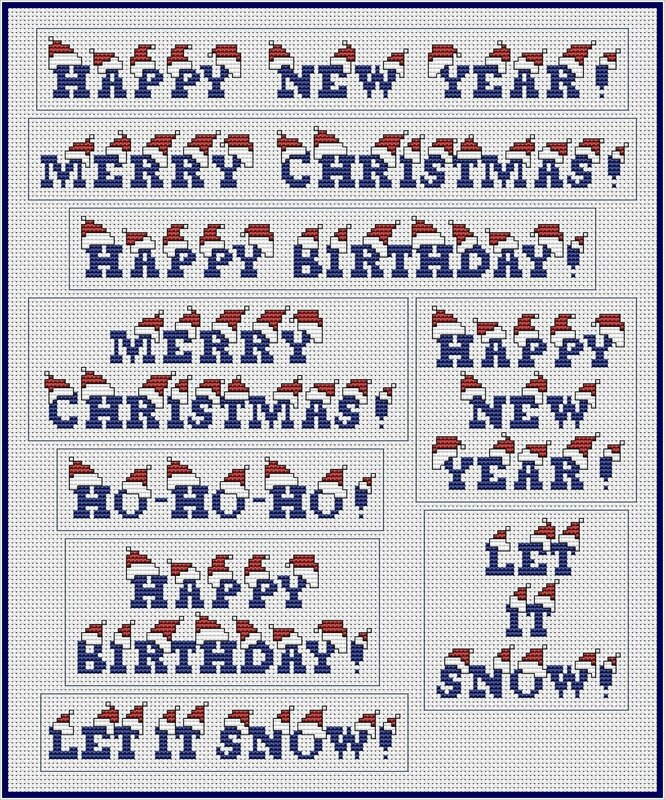 Christmas & New Year Hats Greetings Set Cross Stitch Pattern PDF. Instant Download. Traditional holiday greetings composed of blue or green letters wearing red-and-white Santa's hats! We are glad to present a whole SET of greetings - horizontal and vertical variants for you to choose and match your winter projects nicely! You can choose any other dark-colored threads for letters (instead of the blue one) and any other thread colors for hats (instead of the red one). The main thing to remember is that letters and has colors should MATCH :))) As for backstitching lines, you may use 1 or 2 strands, depending on your preferences. Type(s) of stitches: cross stitch, backstitch. 3. Large-grid PDF* chart of the design in black and white symbols (for 14 count canvas). 4. Size info for 14 count canvas.